- Calcium Sennosides is biggest product commercially for Vijay food – India. Calcium Sennosides is biggest product commercially for Vijay food – India. We make pure and safe fine quality calcium sennocides which is known to be one of the best herbal medicines. It is a very effective laxative. It is also used for constipation for a long period of time. They have been used as natural, safe time-tested laxatives in traditional as well as modern systems of medicine. We are a leading manufacturer of Calcium Sennoside (Calcium Sennosides). Sennoside extracted from Cassia Angustifolia Calcium sennoside has excellent natural laxative properties. A very flexible and effective ingredient for safe formulations. 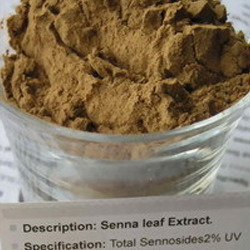 Senna Leaf extract standardized to 8%, 10%, 15% & 20 % 40 % 60 % of calcium Sennoside. - Calcium Sennoside A&B 20%, 40% and 60% as per USP Grade. - Calcium Sennoside A&B 20%, 40% and 60% as per B. P. Grade. - Calcium Sennoside A&B 20%, 40% and 60% by HPLC Method. - Sennoside 80% as per USP Grade. 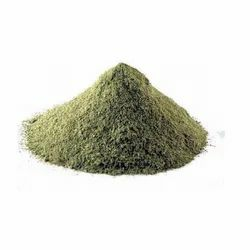 - Leaf Powder contain more than 2% of Sennoside. We are one of the leading Calcium Sennosides manufacturer and supplier of India.